Draw your knees towards your chest. This movement relieves low back pain and tension by lengthening the spine. Practice ergonomics! Place a foot rest under your desk at work. This takes pressure off of your low back while seated and also improves circulation. 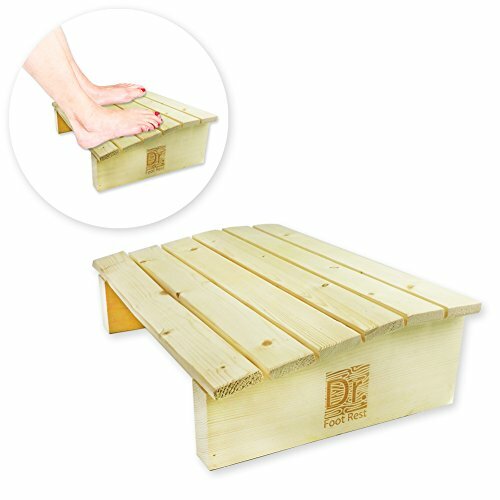 A foot rest can be purchased though can be something as simple as a stack of books, a sturdy box, or nailing a few boards together. Aim to raise your feet high enough so that your knees are in line with, or a bit higher than your hips. Incorporate this gentle stretch daily. Arch, round, repeat.